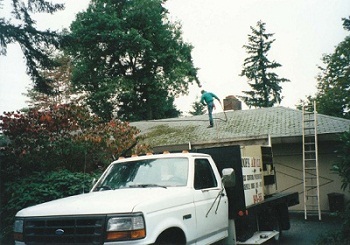 Rick Roach is a licensed, bonded and insured roofing maintainence contracter with over 20 years experience serving Western Washington. The patented Air Clean System is a gentle, no damage, no erosion method of cleaning all types of roofing materials. Other services include installation of glass deck railings, sun rooms, roof sheeting, standard and custom skylites.